A full service continuing care community set in beautiful Fearrington Village with Duke Medical System Fitness and Wellness. The only full Life Care community in the Triangle .Galloway Ridge is a remarkable choice for inspiring, satisfying senior living. 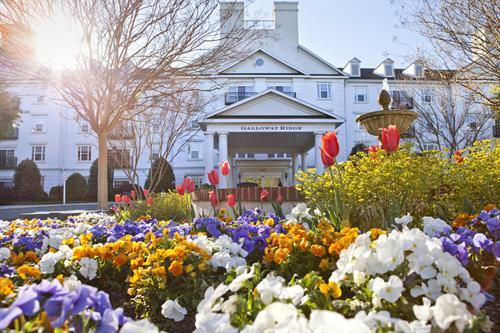 Located in the Fearrington Village area of Pittsboro NC, Galloway Ridge Retirement Community has all the features, amenities and security one could want. From Chapel Hill take 15/501 South towards Pittsboro located next door to Fearrington Village. 8 miles outside of Chapel Hill.